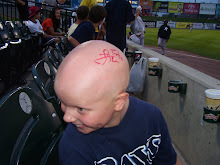 Autographs 4 Alopecia: Thank You! 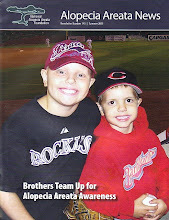 We wanted to say a huge THANK YOU to all who have donated to NAAF through Autographs 4 Alopecia. We have made a donation page for to show our appreciation for a great first year that we had. We couldn't have done it without you. The total raised in year 1 was $1,352.30! Pretty good for a goal of $50. We had no idea it could become so big. We are looking forward to bigger and better things for the coming year. I am going to be posting about a couple of other year end autographs received but will include them in the 2012 total since we were knocked out by our computer. If you sent a check to NAAF and your name is not on the list, please let us know so we can include you as well. Thanks and looking forward to a great 2012! I just happened to find your blog today. You're doing a great job. Keep up the good work and have fun! Thank you Kyle. We are looking forward to a great year and have lots of fun doing it.